We are sorry, but currently the majority of our content here has not yet been translated into the English language. 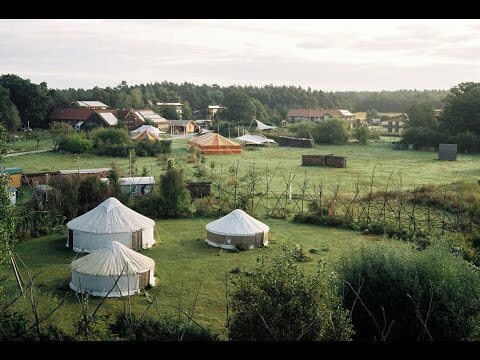 The ecovillage Sieben Linden was founded back in 1997. It is a holistic community based project aming to realise a sustainable lifestyle, that decreases the ecological footprint. In the areas of ecology, social matters, culture and econemy the future lifstyle will be connected with a high quality of life. This may be conected with an intense community based interaction. Around one hundred adults and forty children and adolescent are living in the ecovillage. In a wide range of training programs we pass on our experience to an interessted audience. Sieben Linden is situated in the Altmark – district of Salzwedel, Saxony-Anhalt and is part of the community Beetzendorf. In a wide range of training programs we pass on our experience to an interessted audience. We also offer some international courses! Since 1997 we are implementing sustainable lifestyles, taking into account ecological, cultural, economic and social issues. We share our experiences and knowledge with the public through a diverse range of educational offerings. For the German program of Sieben Linden click here! hi. i want to visit your village but i m living in Turkey. so can u tell me. Which airport is closest to you? want to know if we can do some volunteer this days for your project. We are a group of 9 members between 17-19 years old and two monitors. We would like very much if we could do something in your project. Also we would know about the price if it’s possible.